Well, another APPSC Group 2 Recruitment 2019 Notification is released by the officials of the APPSC. Check out this New Recruitment Advertisement. This APPSC Group 2 Notification 2019 is for 446 Group II (Asst. Commercial Tax Officer in A.P. Commercial Taxes Sub-ordinate Service, Deputy Tahsildar in A.P. Revenue Subordinate Service, Senior Auditor in A.P. State Audit Subordinate Service, Senior Accountant in Insurance A.P. G.L.I Sub service, Junior Assistant in A.P Roads & Building Department, Assistant registrar in A.P Cooperative societies, Senior Accountant in A.P. Works Accounts Sub Service, and Other Vacancies). 31st January 2019 is the Final date to submit the Application Form. Interested Candidates, can apply from 10th January 2019. 2.11 How To Apply For APPSC Group 2 Notification 2018? Andhra Pradesh Public Service Commission Officials are inviting the applications from the candidates, who completed their Degree, B.A, B.Sc, Diploma, B.Tech, B.E from any Recognized Institute or University in India, as the Educational Qualification. Now, the candidates, need to have more other Requirements, too at the time of applying for the APPSC Group II Recruitment 2019. Now, after the final date, the Online Application Link, will be removed. Willing Candidates should also pay the Application Fee too. Now, the Job location for the hired candidates will be across the State. 18 years to 28 Years. Age Relaxation is available. Submit the application form before the final date. Got the complete information about the APPSC Group 2 Recruitment 2019 Notification? Well, on our site Freshers Now, you will find more such data. APPSC Group 2 Recruitment Notification 2018-2019: The higher authorities of Andhra Pradesh Public Service Commission has announced the APPSC Group 2 Notification 2018, to select the suitable candidates for 337 Group 2 (Asst., Section Officer, Asst., Registrar, Extn., Officer, Dy. Tahsildar, Executive Officer Gr.I, Municipal Commr., Gr.III, Senior Accountants, Excise Sub-Inspectors) Vacancies. For the Andhra Pradesh PSC Group 2 Openings 2018, the officials had not announced the APPSC Group 2 Exam Dates, and Application Process dates. All the applied competitors have to attend for Andhra Pradesh Public Service Commission Screening Exam 2018 on the scheduled date at various examination centers. 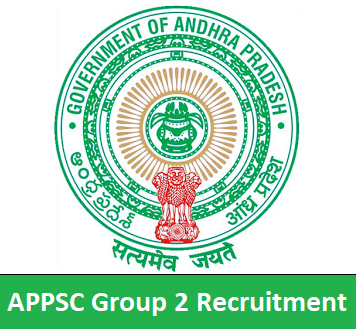 Check the APPSC Group 2 Recruitment Notification 2018 details which defined on the official website that is www.psc.ap.gov.in. Before going to attend for the exam, candidates must have to refer the Educational Qualification, Age limit, Application Fee, important dates, and How To Apply For APPSC Group 2 Recruitment 2018 from the below sections. Check this entire article for APPSC Group II Jobs 2018. A considerable number of applicants are searching for the various websites on the internet of APPSC Group 2 Notification 2018. To help out those candidates, we had arranged the complete information regarding the APPSC Group 2 Notification 2018 at the end of this article. Most of the candidates are eagerly waiting to get placed in the Andhra Pradesh Public Service Commission Organization. Candidates need to fill their application forms only through online mode. Applicants can go through this page that is Freshers Now and know the latest information on APPSC Group II Jobs 2018. Candidates need to complete their Bachelor’s Degree in a recognized university or organization. The are two categories in APPSC Group II Jobs. They are Executive & Non-Executive Posts. How To Apply For APPSC Group 2 Notification 2018? Initially, candidates need to visit the official site of Andhra Pradesh Public Service Commission that is psc.ap.gov.in. The homepage will open on the screen. Search for the flashing link of APPSC Group 2 Notification 2018. The other page will open on the screen. Download the APPSC Group 2 Notification 2018. Read the complete details, and if you are eligible then apply for the APPSC Group 2 Notification 2018. Insert details correctly such as the name of the candidate, Date Of Birth, and others. Tab on the submit button. Save and download the APPSC Group 2 Notification 2018 form. Take the xerox copies of APPSC Group 2 Recruitment 2018 application form for further details. To collect the information about more Notifications like APPSC Group 2 Notification 2018, the candidates can visit Freshersnow.com.